The highly anticipated annual ‘Cats of the World’ photo exhibition will delight both feline and photography fans alike with its eighth and final season this year. 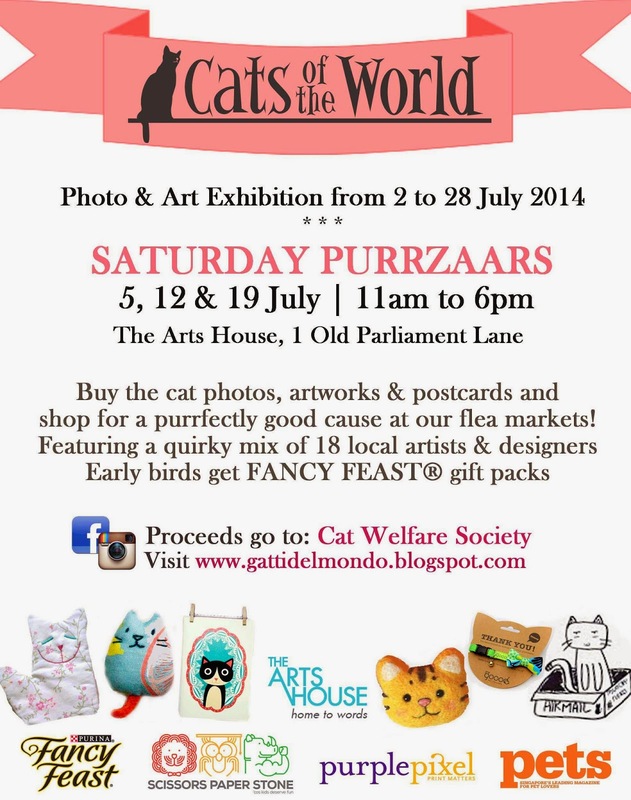 To be held at The Arts House from 2 to 28 July 2014, this non-profit community exhibition will feature photos of cats by aspiring and professional photographers that showcase these feline friends in their element – graceful, lazy, sneaky, aloof, loving etc, in unique settings around the world, including Turkey, Japan, India, Taiwan, Italy and Singapore. Besides the instagram photos category, the exhibition also introduces an art element, whereby local artists are invited to come up with cats-inspired artworks that are sold for $100 each to raise funds for Cat Welfare Society. Don’t miss this chance to own these one-off creations from multi-disciplinary artists including David Chan, Ginette Chittick, Ly Yeow, Namiko Chan Takahashi, Wyn-Lyn Tan, SBTG (Sabotage), Puffingmuffin and SlothStudio. The organisers remain committed to raising funds for Cat Welfare Society www.catwelfare.org and will continue to organise the Purrzaar markets to spread the love for cats. Spend a wonderful Saturday at this fun lifestyle purrzaar to be held on the ground floor of The Arts House. 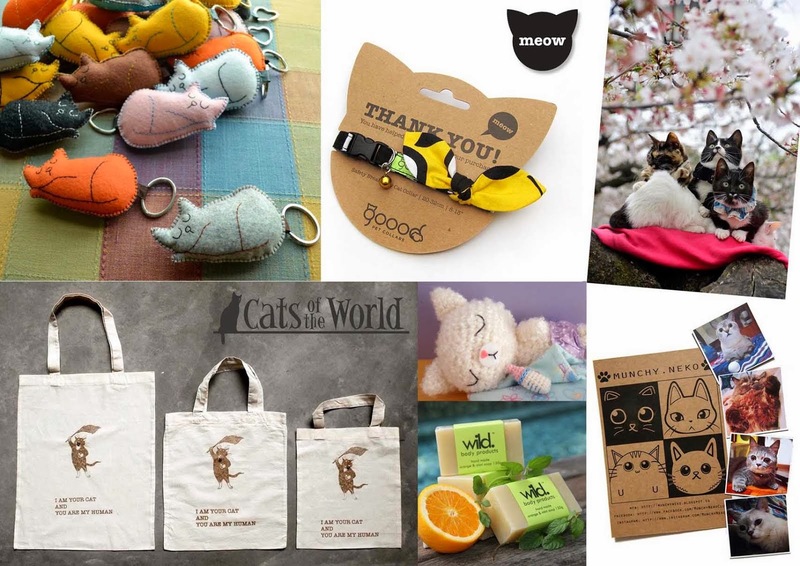 This unique feline-themed flea market offers a range of quirky cat-related lifestyle merchandise and handicrafts such as postcards, dolls, cushions, notebooks, tote bags, brooches, accessories and artwork lovingly made by 18 local artists and designers, including Cat Welfare Society who will be selling their popular merchandise and available to answer cat-related queries. Sponsor FANCY FEAST® will also give away door gifts comprising their cat food products at the three Saturday Purrzaars (while stocks last). *More information on the vendors can be found below. Dulcetfig was borne out of a girl’s dream of yesteryears. It carries vintage clothes, bags and fashion accessories such as earrings and rings. Since its inception in 2007, this endearing community project has garnered a following among cat lovers, photographers, travellers as well as families and children. It features photos from aspiring and professional photographers from all walks of life, illustrating that cats all over the world are the same - lovable and purrrrfect! Photographing cats is an art that requires patience and luck, hence this exhibition showcases the fun and often spontaneous works of photography enthusiasts and cat lovers. Organisers Carlyn Law and Noelle Tan are both passionate about cats, photography and travelling, and started ‘Cats Of The World’ photo exhibition as a community pet project. The former journalists/editors, who also run Sixth Sense Communications & PR Consultancy, are inspired by the success of ‘Cats of the World’ and would like to give thanks to all the sponsors, partners, photographers and supporters involved in the project. 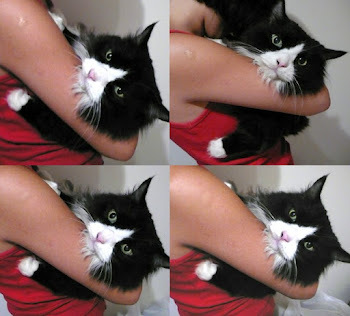 Of course, the real heroes in this community project are the cats – each special in their own way all over the world.